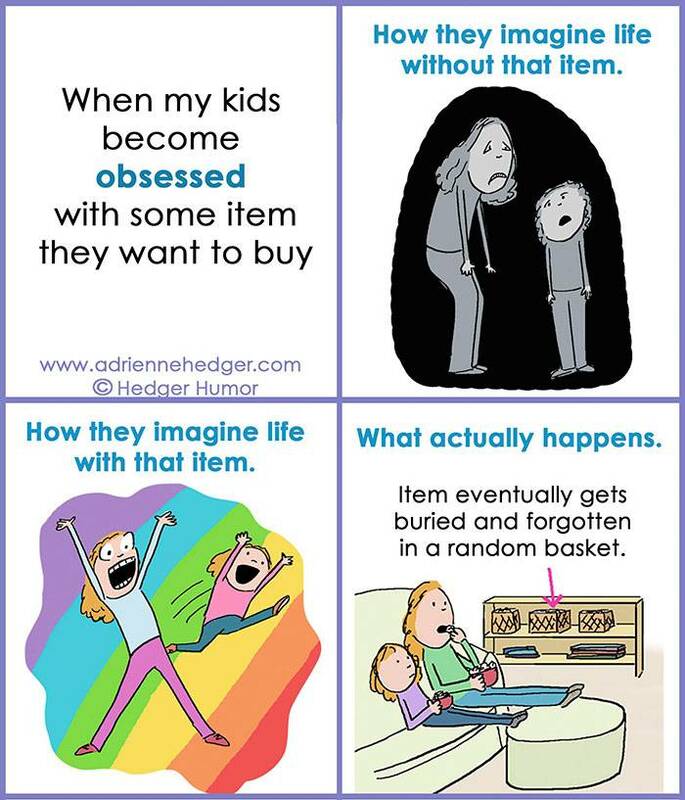 Adrienne Hedger is a writer, an illustrator, and most significantly: a mom. 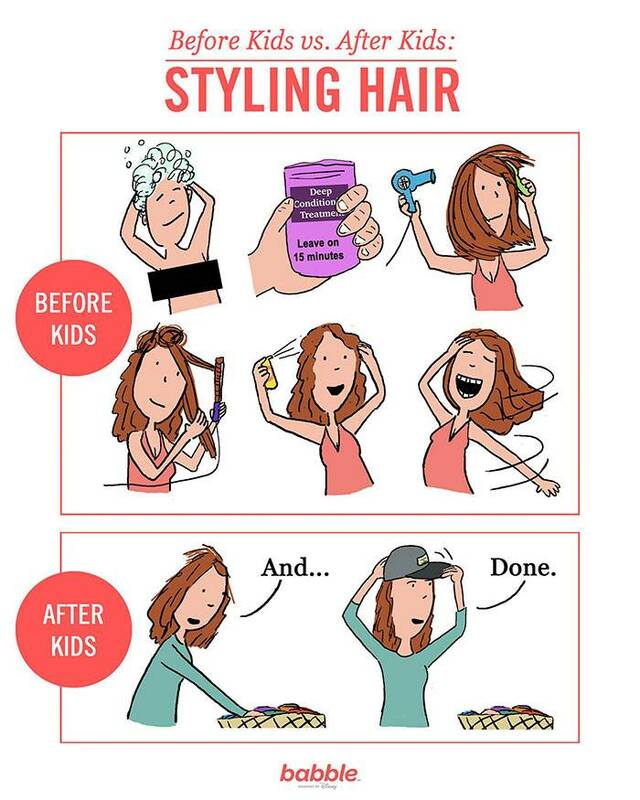 Not too long ago she started making comics that virtually any mother could relate to and they've really blown up with popularity on the Internet. 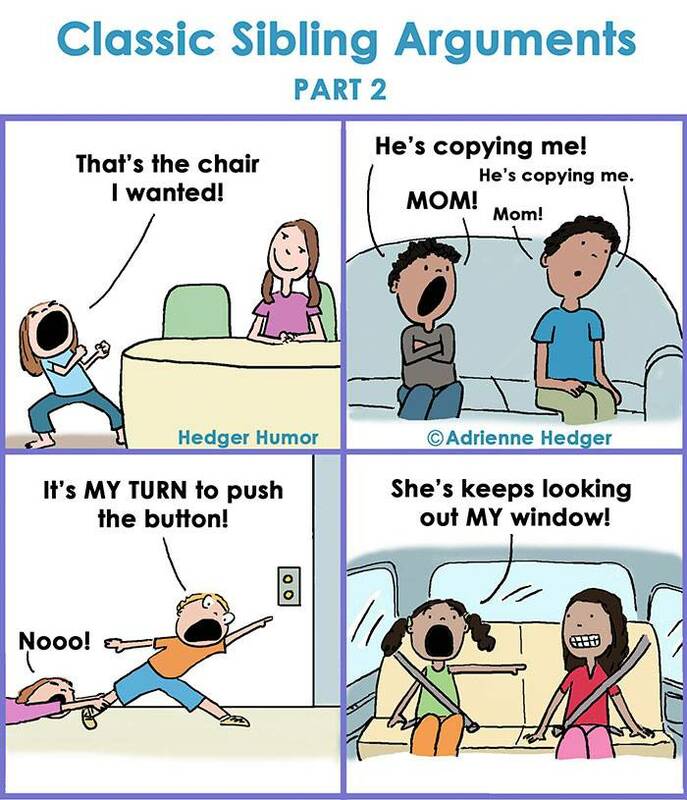 The comics of Hedge Humor really do a superior job of capturing and depicting the wild ride that parenting truly is. 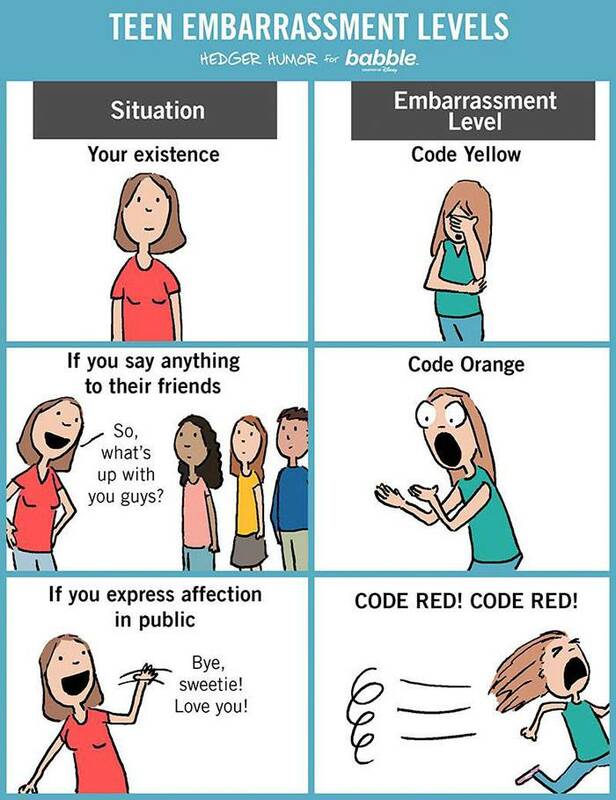 Her creative and hilarious way of interpreting everything from sibling interaction, er excuse me, sibling fighting to the loud and unabashedly embarrassing things they like to shout in public has been spot on. 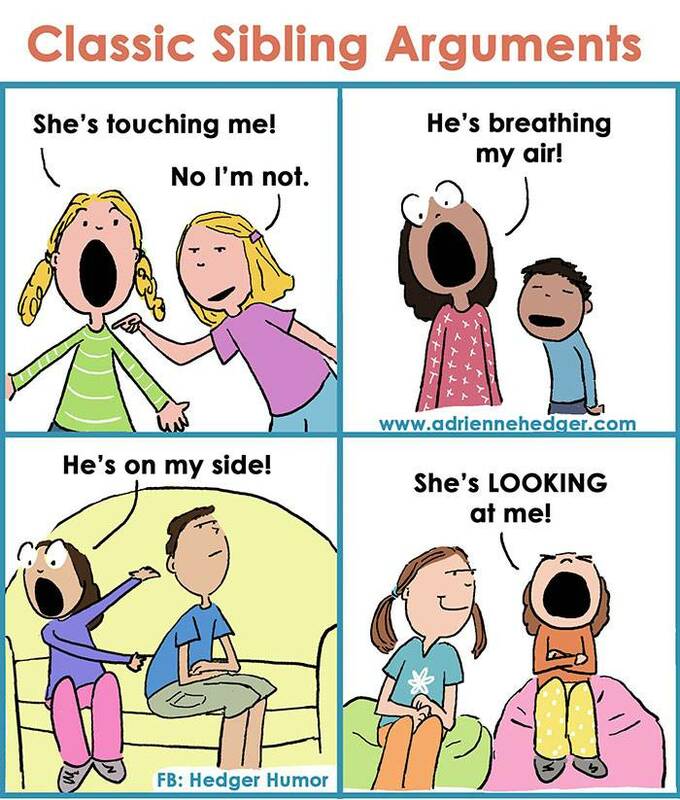 Adrienne's comics have been featured on the most popular parenting pages and blogs on the Internet and are absolutely BOOMING on her Instagram account. 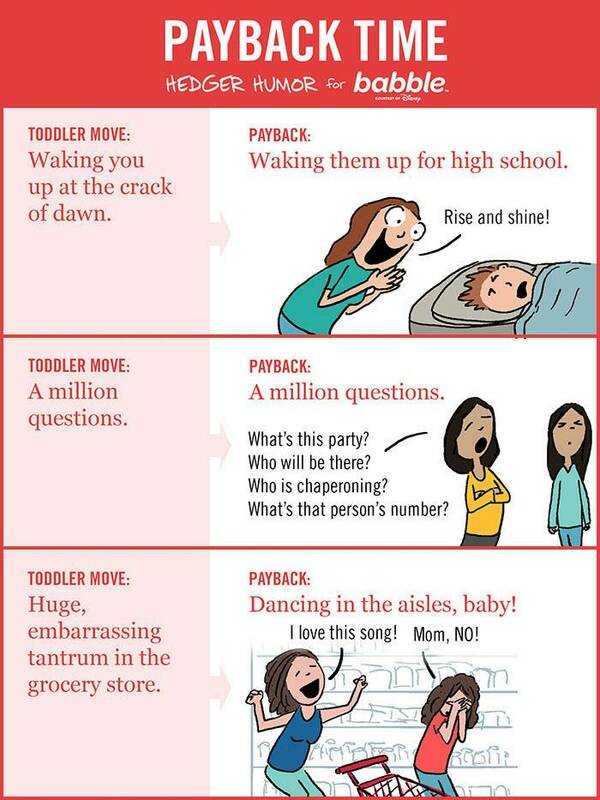 If you're not roaring with laughter by the end of this list, you may not have been a parent long enough to understand how hilarious and spot on these comics are. 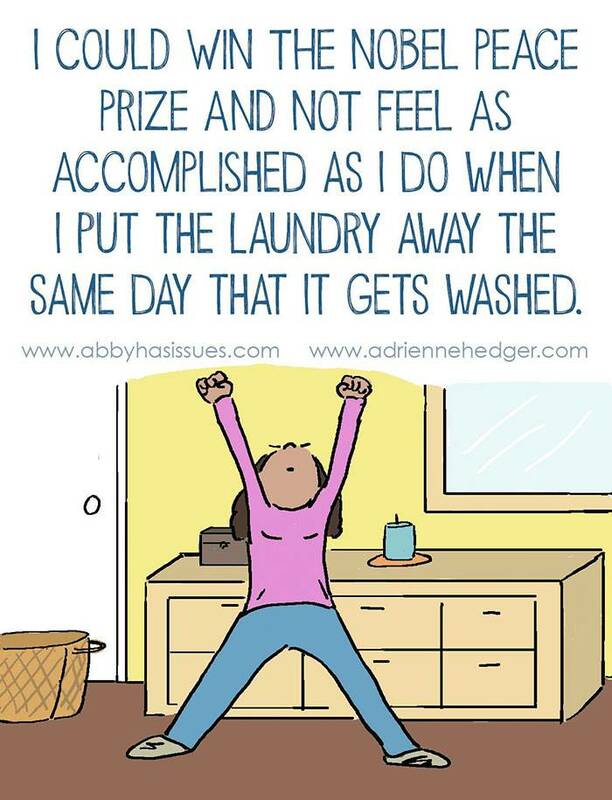 It seriously is the best feeling ever. 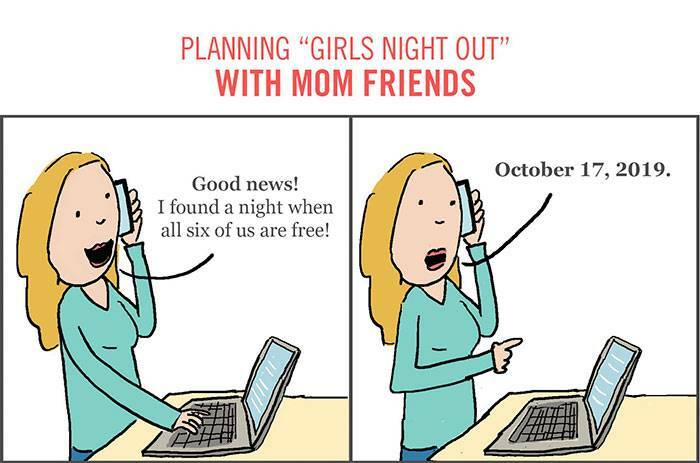 Prepare to be disappointed when all of you still end up needing to reschedule. 6. 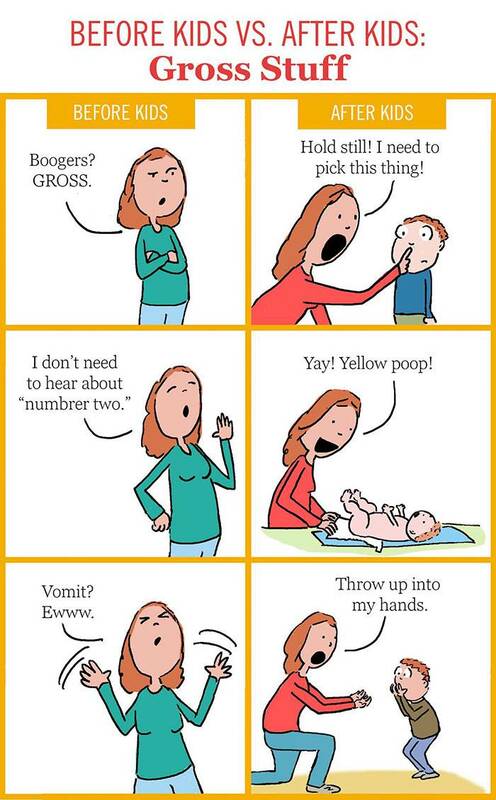 The truth is gross. 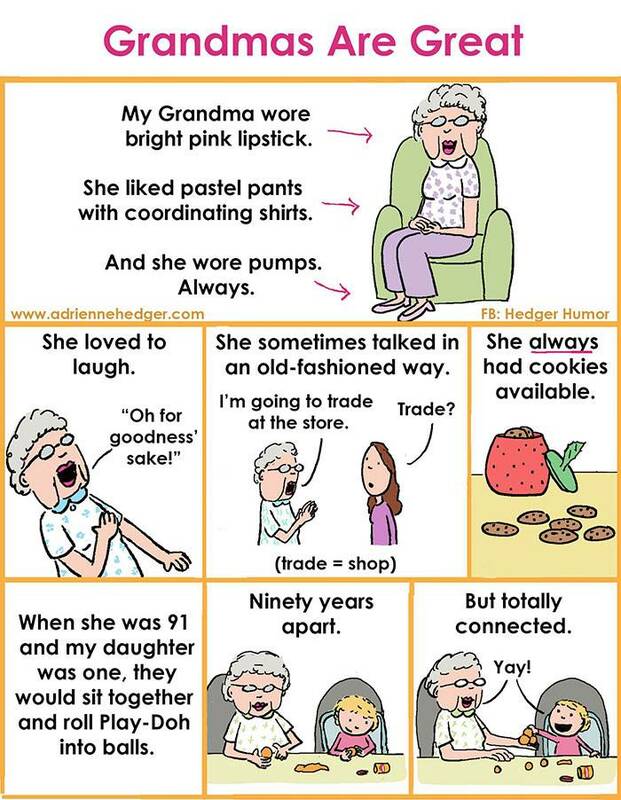 There is not much in this world better than Grandmas. ....when you're confused about where that good child is when you're all home. 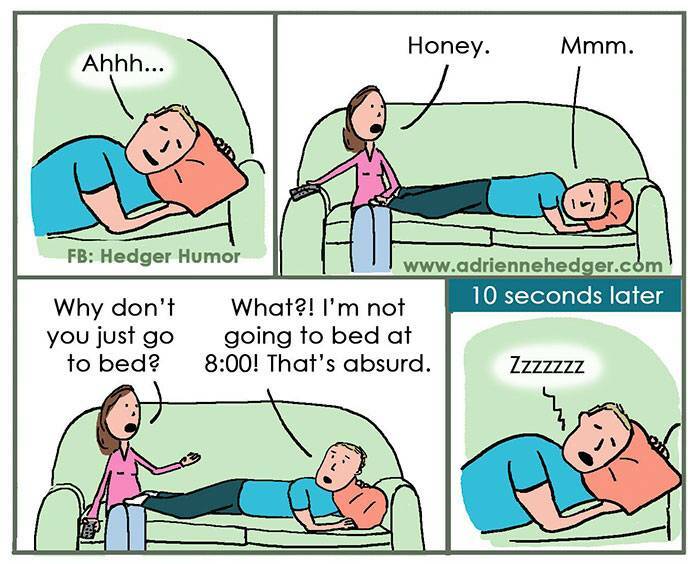 Dads have it so easy! 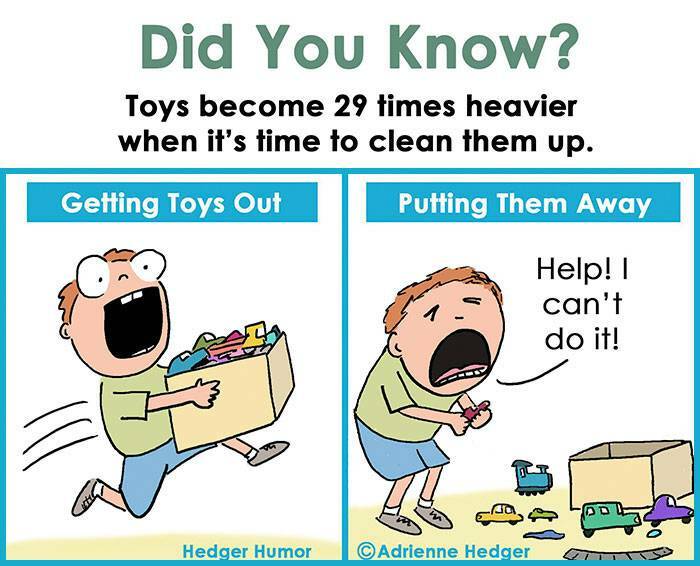 It's so hard to clean all by your lonesome when you're a kiddo. 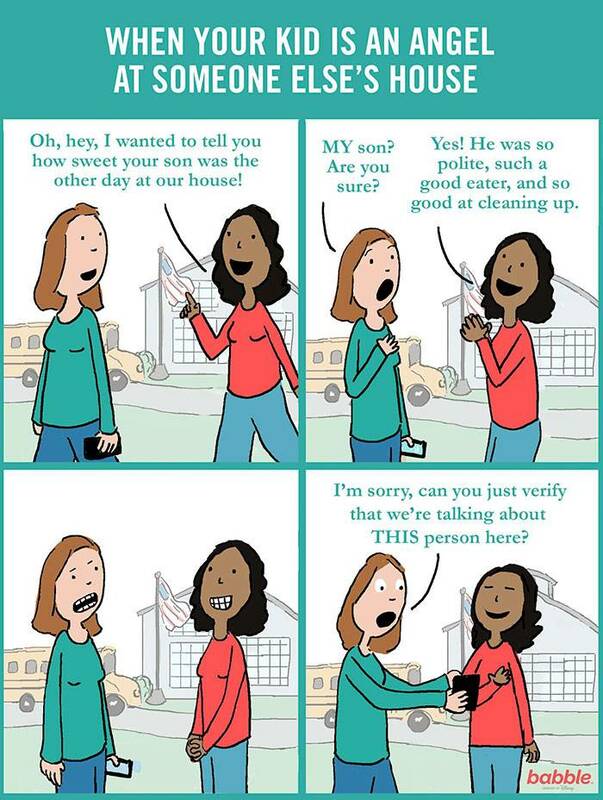 Assistant mom, can we make this a thing? 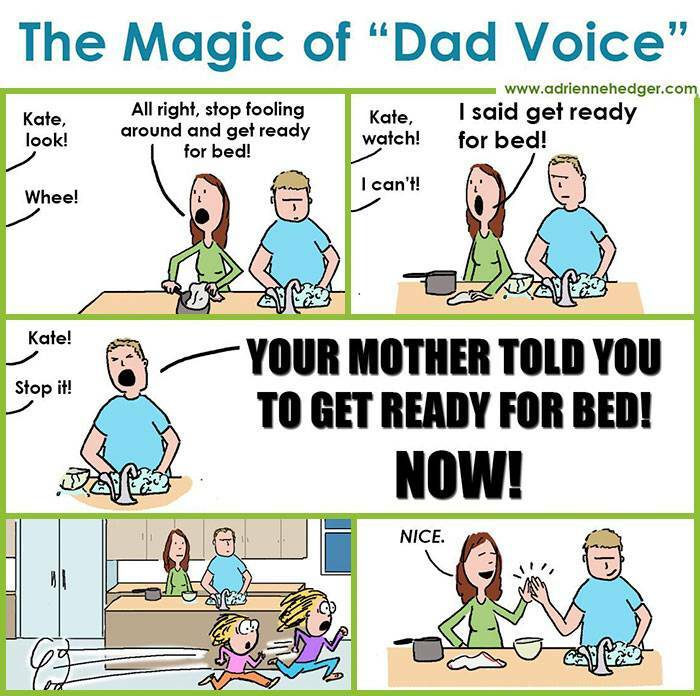 Bless the dad voice and the power it holds. Otherwise it's a messy, lopsided bun. 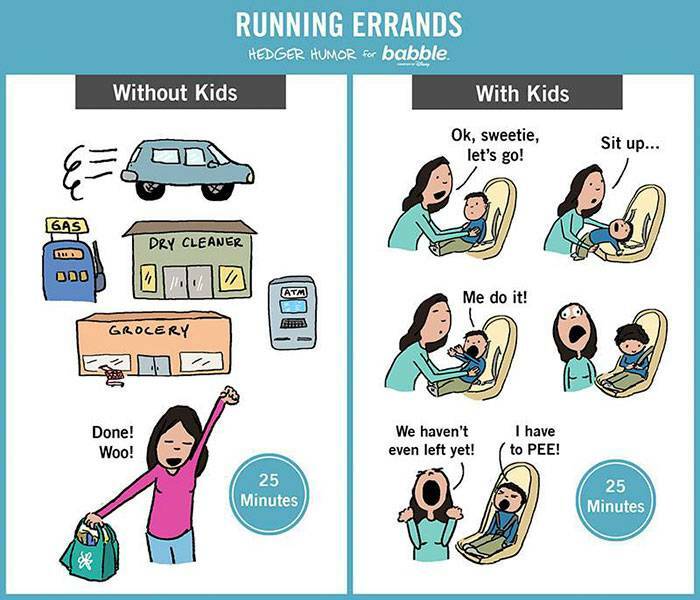 If your kids aren't old enough but you had siblings growing up then this is still completely easy to relate to. This is the essence of siblings.